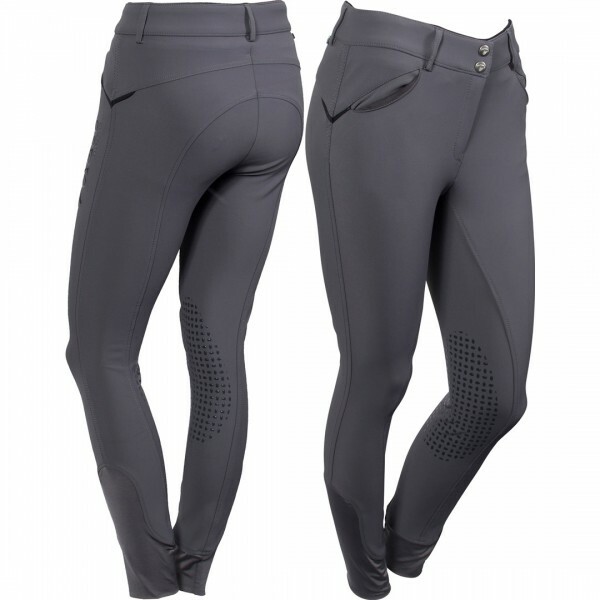 Comfortable and sporty breech with silicone knee patch grips. 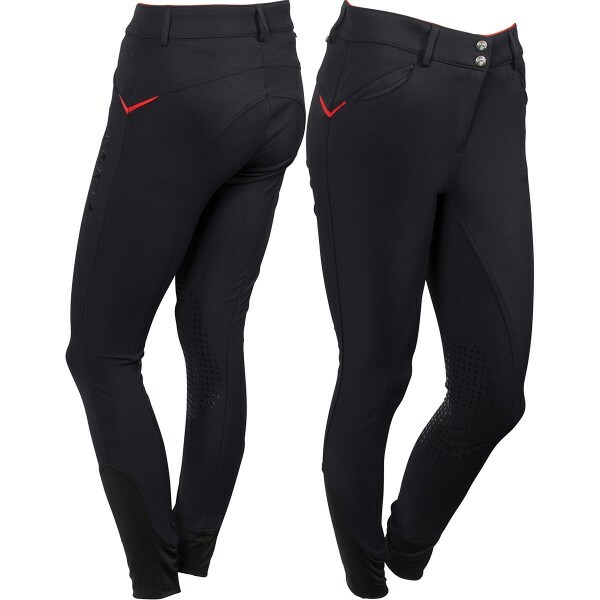 Made from a durable 4-way stretch fabric with Lycra at the ankles, the wide waistband offers the rider optimal support and comfort. The fabric has high breathability and dries quickly. Catago logo on left thigh.